Good morning, Muffin readers! I am super excited about today's post: an interview with David Kalish, Novelist, Playright and Friend who will be releasing his debut novel The Opposite of Everything, on March 11, 2014. 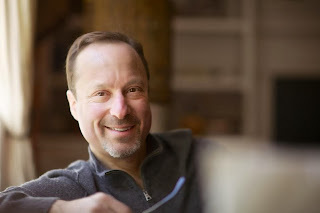 David Kalish is a novelist, blogger, and playwright with an MFA from Bennington College. His short fiction appears in many literary journals, his nonfiction in The Writer’s Chronicle, and a film of his won honors in festivals in the states and abroad. Before Bennington, he was a journalist at The Associated Press. He lives in upstate New York and is at work on a second novel, Stoner Hero, and a Latin-themed comedic musical, The Gringo Who Stole Christmas. 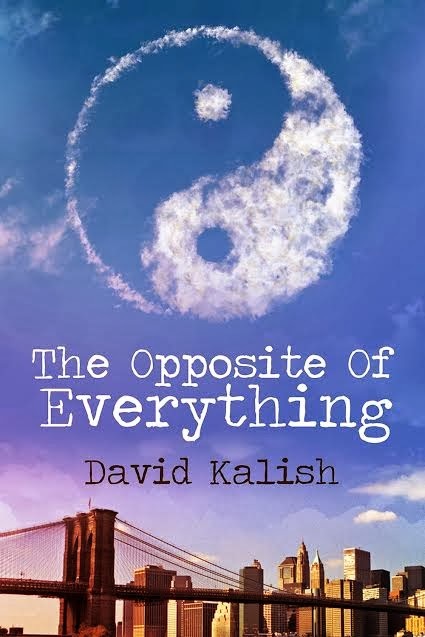 WOW: David, the main character in your book The Opposite of Everything is Brooklyn journalist Daniel Plotnick. I'm curious how you chose the name and the main character's occupation. Please give us a bit of back story if you would. David: Before he was Daniel Plotnick, my main character had my name. That’s because my book started as a first-person memoir about my struggles with cancer and divorce. But over years of revision I decided the book worked better as a third-person comedic novel. So I chose a name for the protagonist that sounded Jewish, like mine, and a bit hapless, as I imagine myself. One of my roommates in college had the last name Plotnick, so I stole it. Because the character is based on me, he’s also a journalist – I used to work as a reporter and editor with The Associated Press in the 1990s. WOW: David, I have a feeling that same thing happens more often than we may realize. I'm sure your roommate is flattered! I know this book came about after your own personal battle with cancer and your painful divorce. Did you start journaling for therapeutic reasons, or what made you decide to put the pen to paper and when did you decide it was something you wanted to publish? David: I’ve always written fiction, from the time I wrote my first poem in kindergarten, but my diagnosis of cancer in 1994 -- and the collapse of my first marriage it triggered -- gave me lots of material to mine. So my creative writing began to reflect those experiences. Sure, it was therapeutic in a sense. I think as a writer I try to make sense of painful situations by dramatizing them, giving them a narrative arc, a beginning, middle and end. It’s all about making lemonade from lemons, putting things in perspective. From the moment I began writing my book more than a decade ago, I’ve wanted to publish it. With each revision I sent the book out to agents and small publishers, and with each rejection revised it a little more. It wasn’t until early this year that it was accepted by a small but traditional publisher, WiDo. It’s been a long long journey. WOW: So I guess I'm not being too terribly optimistic thinking my 5 and 6 year old might become writers since they do so well with poems and short stories. I'm sorry it took the collapse of your marriage to bring you back to creative writing, but I'm sure glad you're writing! David, who has been your biggest supporter through the publishing process and what are some ways they have supported and encouraged your journey? David: I would have to say my wife and daughter, in part because the characters based on them figure so prominently in the novel. They’ve been my second readers as I strived to create credible characters with three-dimensional lives and personalities. They’ve also been incredibly tolerant of the fact I need oceans of time to write, because I’m a perfectionist, to a fault. WOW: This definitely sounds like a family affair and labor of love! So... what's next for you? You seem like the type of person who is always busy and I have a feeling your next published works is likely already waiting in the wings - can you tell us more? David: I’m revising my second novel now, and hope to complete it in the spring and send it out once my first one is published in March. Problem is, I’ve been so busy laying the groundwork to promote my first novel I have hardly any time to work on my second. But novel is called Stoner Hero. It’s a satirical comedy about an underground society that uses time management techniques, team building and sweat lodge retreats to help stoners lead more productive lives through weed. I’m also a playwright. I’m collaborating with Alex Torres, the Latin musician and composer, on a musical comedy I wrote, called The Gringo Who Stole Christmas. WOW: David, I'm so glad you're doing so much promotion since that is what brought us together. I cannot wait until your WOW! Blog Tour next spring! Other than your upcoming blog tour and writing, what sorts of activities do you enjoy? Give us a peek into your personal life and what makes David Kalish tick. David: I’m an early riser, and after a few hours of writing from 5 a.m. to 7 a.m. I drive to a nearby forest with our two dogs. The three of us roam briskly between the trees for an hour. It clears my head and I often work out problems in my writing, and plan my day. I consider a good day when I also get in a walk in the afternoon. I guess I’m always writing, except when I’m cooking dinner, paying the bills, taking out the garbage, and spending downtime with my wife and daughter. WOW: Now I understand why you are so happily married - not only do you take out the garbage, you cook dinner too? I love it! Thank you so much for sharing with us today. Readers - be sure to leave comments and ask questions as David will be checking in to chat with us today! him off the George Washington Bridge. plan to turn his life around: by doing the opposite of everything he did before. David plans on touring in April 2014. To view all our touring authors, check out our Events Calendar. Keep up with blog stops and giveaways in real time by following us on Twitter @WOWBlogTour. Get Involved!If you have a website or blog and would like to host David or one of our touring authors or schedule a tour of your own, please email us at blogtour@wow-womenonwriting.com. Sounds like a great read. I like that he has taken a comedic approach to what can be a very heavy subject. David has a great enthusiasm for life! I too am drawn to his approach to dealing with life's hurdles. This book can't come out quick enough; I'm soooo excited!! Thank you so much for taking time with me! Thanks for your question, which is a good one. Since my work is fiction, thankfully I don't need to worry about releases. As I say in my acknowledgment, any resemblances between real-life people and characters in the novel are coincidental to my goals as a novelist to create a fully realized book with interesting characters and a narrative arc. Having said that, however, my book is inspired by my own life and I did have an unnerving conversation with a family relative (who shall remain nameless) who saw a synopsis of the book (not the book itself) that he interpreted as disparaging to him. I reassured him it was fiction. That's all I can do, right? Yes, comedy was my way out of writing about painful experiences in my life in a way that I could handle, as both a novelist and a cancer survivor. I'd love to keep you updated about events related to the book. 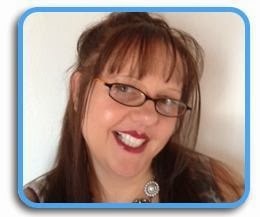 If you don't mind a few clicks, go to my Web site www.davidkalishwriter.com and sign up on my guest list. Hi David and Crystal. Thanks for the wonderful interview. I love that you took something negative and made it a positive. Congratulations on you novel and I wish you many downloads. Hi Sherry! Yes, for better or worse, my life supplied me lots of material for dark comedy. Made lemons out of lemonade, I suppose. Or is it the other way around? Thanks so much for your good wishes! Thanks for the answer, David. It seems like the nameless relative might have some issues he needs to settle? :) Looking forward to your book coming out. Love WiDo publishing--I have read some great books from them thanks to WOW!